Anthony Gormley is talking to us about his current solo show at Kettle’s Yard, SUBJECT, the focus of our next Pearls of Wisdom Social Club. Running until the 27th August, the exhibition explores our relationship to space and our sense of self, plus asks who and what art is for. 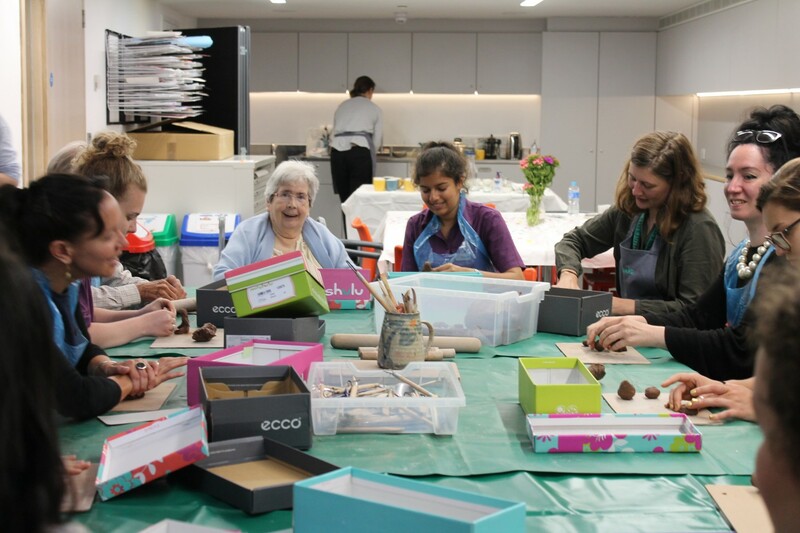 EDGE was a hit at the Pearls of Wisdom Social Club itself, with visitors from Cambridge Manor Care Home and the fabulous Turtle Dove team, all exploring reactions to works and the exhibition. After a quick talk from Karen Thomas, we headed into the galleries to enjoy the show – and explore how the works made us feel. ‘It makes me want to swing from it like a monkey!’ said, Kate, of Turtle Dove. 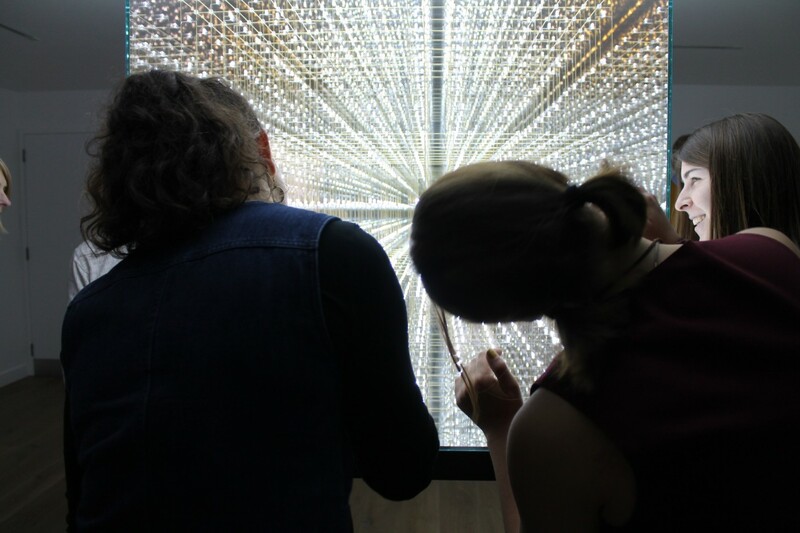 Infinite Cube II, on show in the UK for the first time, made of a one-way mirror glass and 1000 LED lights, was very popular. ‘It’s like every time you look at it, there’s so much going on in such a confined space, says Fran. 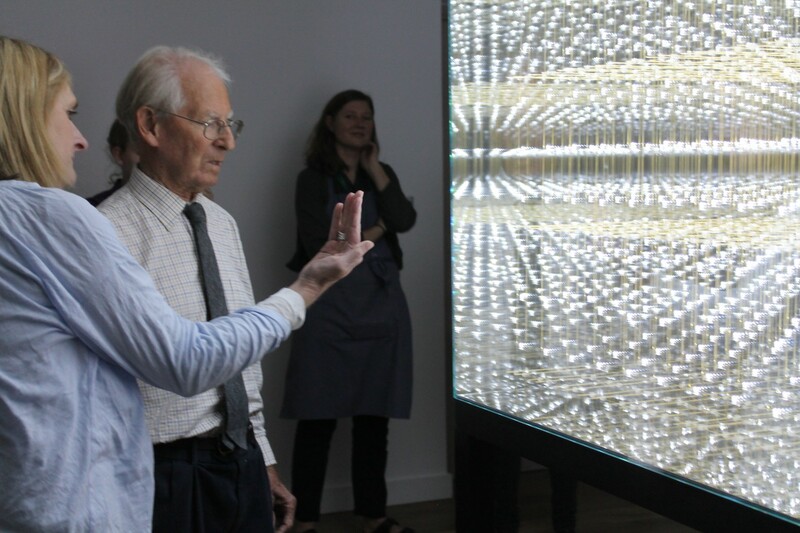 ‘It’s dazzling’, Margaret from Cambridge Manor tells us. 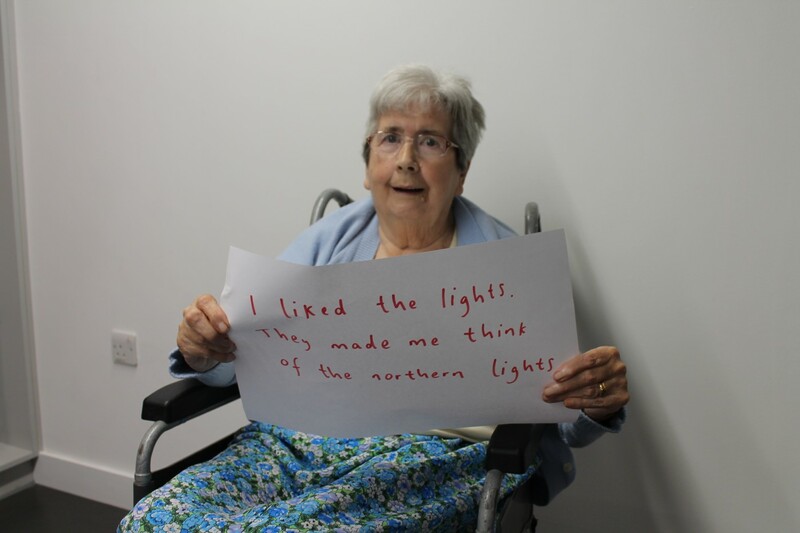 ‘I liked the lights, they made me think of the Northern Lights’. 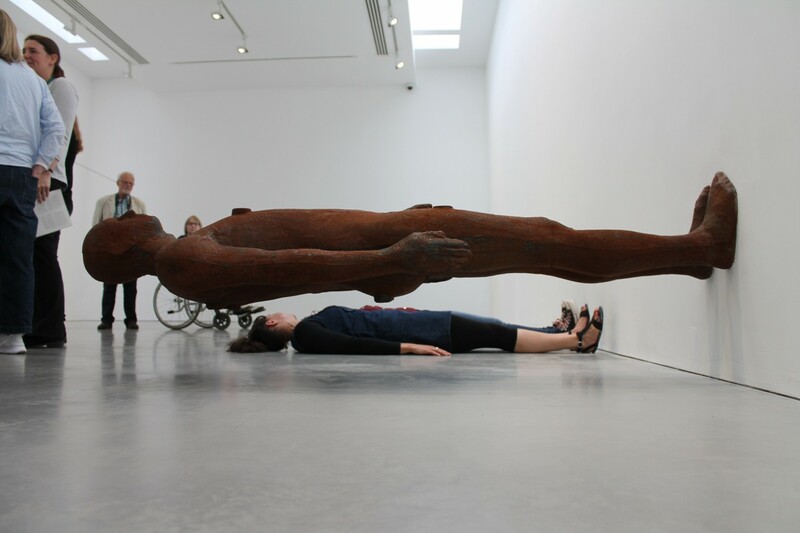 Gormley himself advises peering up at it from the floor, where the view is apparently ‘endless’! 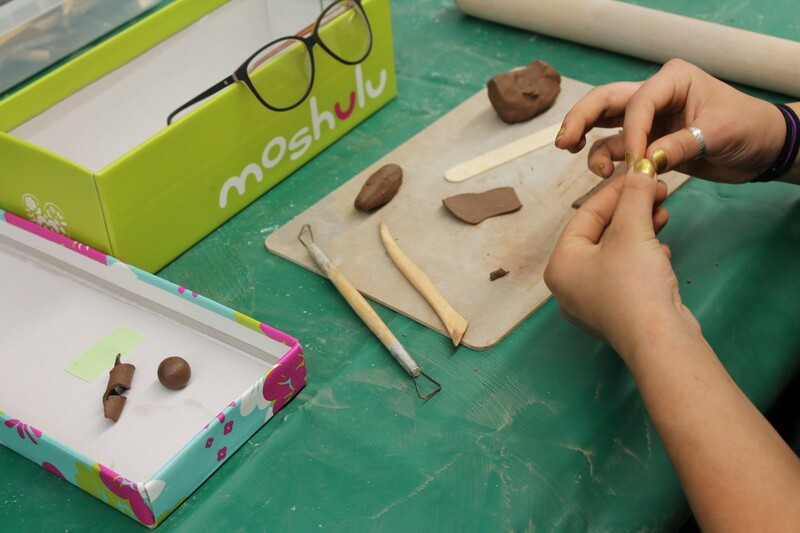 Afterwards, we enjoyed a nice cuppa back in the Learning Studio and met up with artist Jo Miller, experimenting with clay, to play with our own sense of space and proportion – with some fabulous results. We shared what art is for and celebrated our own voices, on this sometimes mysterious subject. How walking around the show, it’s you, your perceptions, that bring it to life. 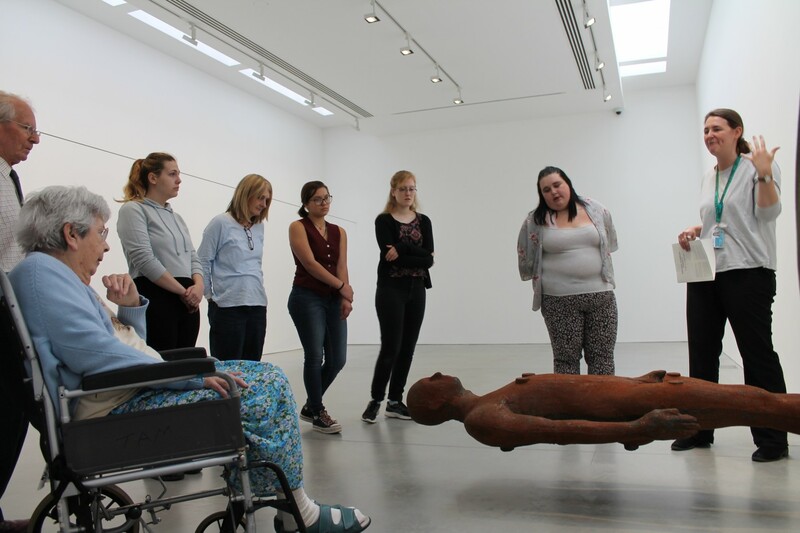 Interview with Anthony Gormley, Fran Smith and Ruthie Collins. Photos – Fran Smith. 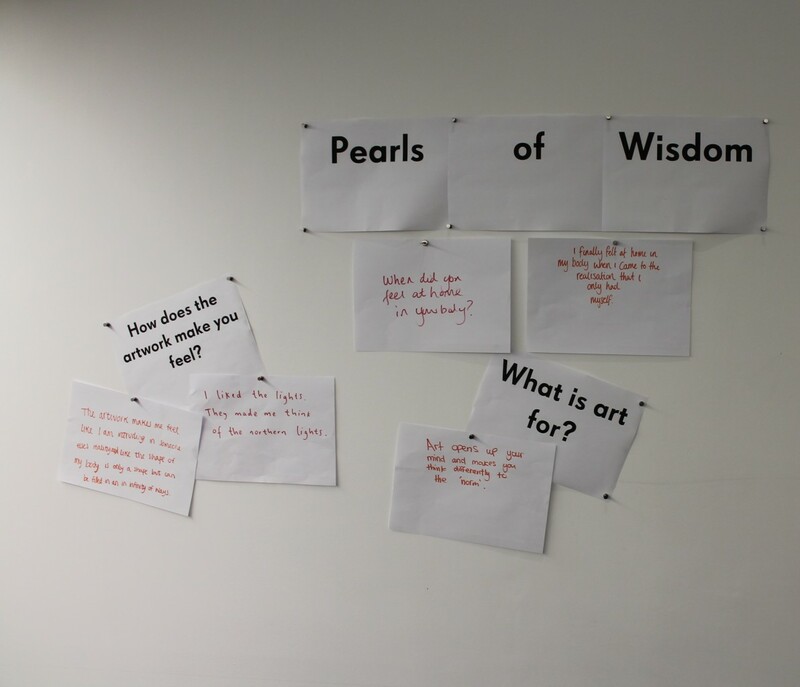 Pearls of Wisdom Social Club returns to Kettle’s Yard in September. Over fifty eight and nine year old children at The Grove Primary School have won the High Sheriff Award, as administered by Cambridgeshire Community Foundation, for participating in a project that aims to bring together old and young residents in the city through art run by Care Network Cambridge and Cambridge Art Salon. As part of Pearls of Wisdom Postcards, elderly residents in Cambridge from Cambridge Manor Carehome and St Martins Day Centre generously contributed their own pearls of wisdom, to children at The Grove Primary School – little nuggets of wisdom, for the younger generation, such as ‘Don’t Waste Time’, ‘Save For A Rainy Day’, or ‘Kindness Costs Nothing’. 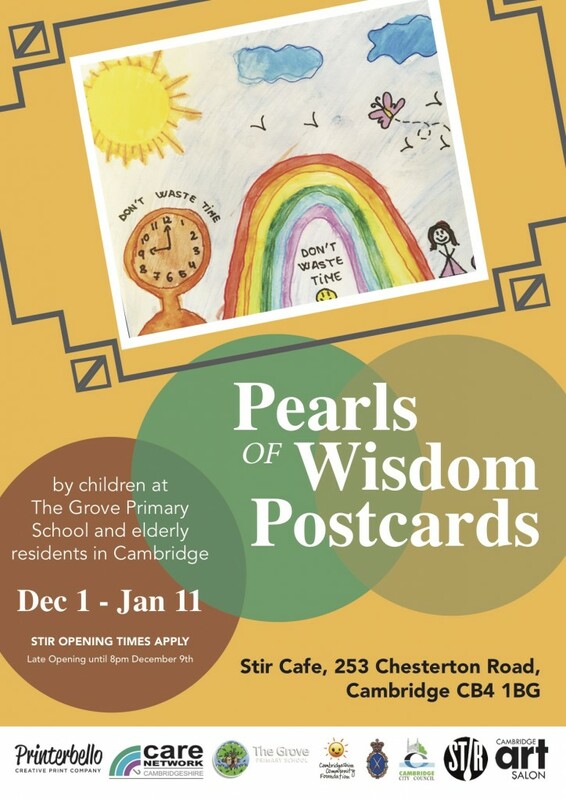 The school children then created artworks in response to the pearls, with help from artists at Cambridge Art Salon, for an exhibition and pack of postcards that the public can see and buy at Stir Cafe, throughout from December 1stuntil January 11th. 100 packs of cards of 8 of the children’s designs are available for sale for £2 each at the popular CB4 based Stir cafe – with a #pearlchallenge to send postcards to family members and loved ones, to celebrate family and friendship. Participants are invited to buy postcards and post on social media their messages to friends and family, as part of the challenge. Participating artists based at North Cambridge art space Thrifts Walk Studios and East Cambridge’s UNIT 13, include Sa’adiah Khan, Daisy Tempest, Sukey Sleeper and Cathy Dunbar. The project was produced by writer Ruthie Collins who interviewed older residents for their pearls, with help from Cambridge Art Salon volunteer Victor Ibanez, Care Network Cambs and staff at Manor Care Home and St Martins Day Centre.